In the early 1950’s a small number of Sikhs from the Punjab started arriving and settling in the Walsall area. It wasn’t until the late 1950’s and early 1960’s that the number of Sikhs in Walsall started to increase. 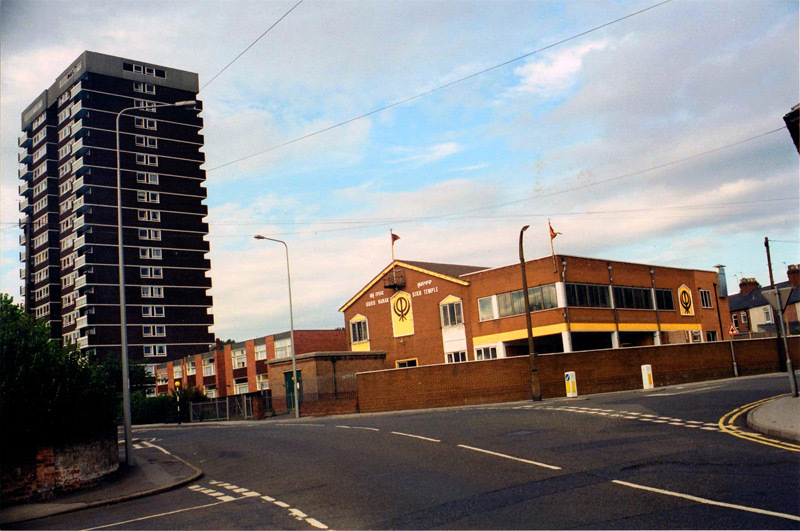 The nearest Gurdwara at the time was in Smethwick and Birmingham and the Sikhs living in Walsall would visit these Gurdwara’s on weekends. 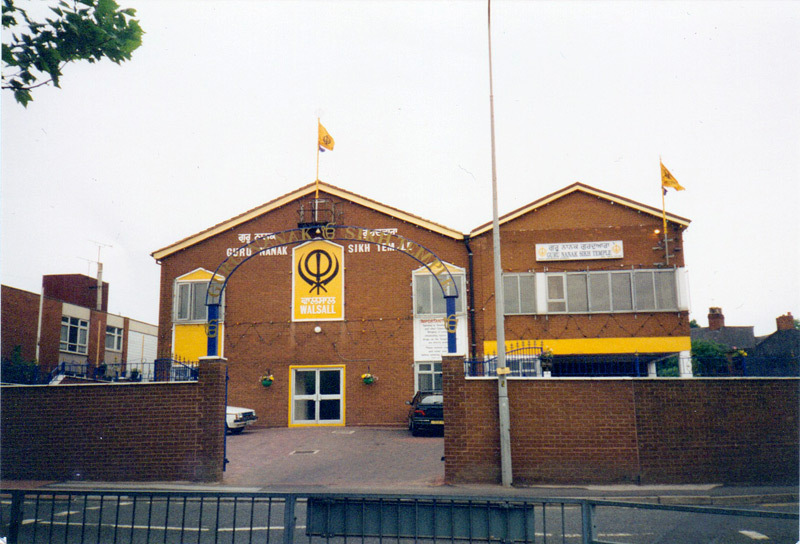 As the Sikh population started to grow in numbers in the area, in 1962 a group of local Sikhs got together and hired The British Lion Club, a building where the present Gurdwara stands every Sunday for a rent of about £3.00. Sri Guru Granth Sahib Ji, the Holy Scriptues of the Sikhs were kept at a local Sikh’s house during the week and brought to the congregation every Sunday for the weekly Diwan, Kirtan and Langer. It was in 1964 the first Parbandhak Committee was chosen by the Sangat and at the same time the first full time Granthi was appointed. Sometime in the late 1960’s Walsall council decided to sell the British Lion Club and this was purchased from the council in a cash lump sum of £2200 by the Parbandhak Committee at that time. 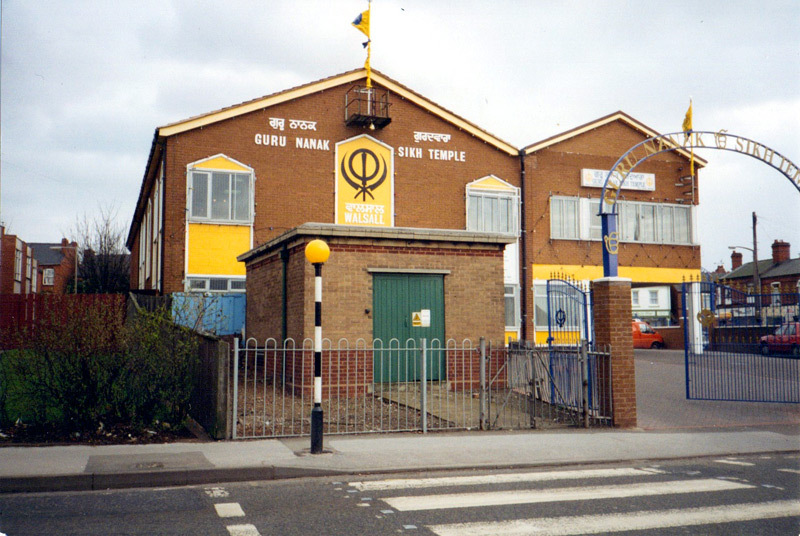 Due to continued migration from the Punjab during the 1960’s, the number of Sikh families in the area continued to increase and therefore in 1970 the Parbandhak Committee decided to demolish the British Lion Club building and began constructing a new Gurdwara which was completed in 1971. To coincide with the opening of the new building, a constitution was formed and a management committee was selected to manage the day to day running of the Gurdwara. A trust board consisting of 11 members was also formed. 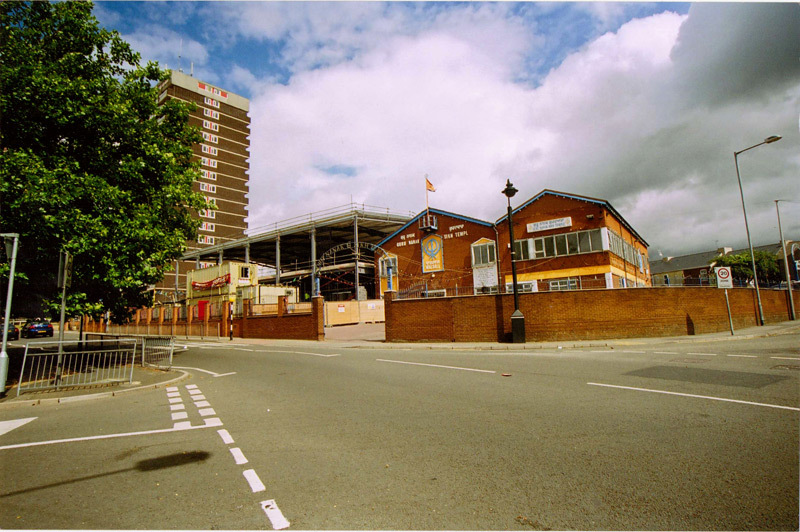 Further development of the Gurdwara took place in the 1970’s, 1980’s, 1990’s and 2000’s. 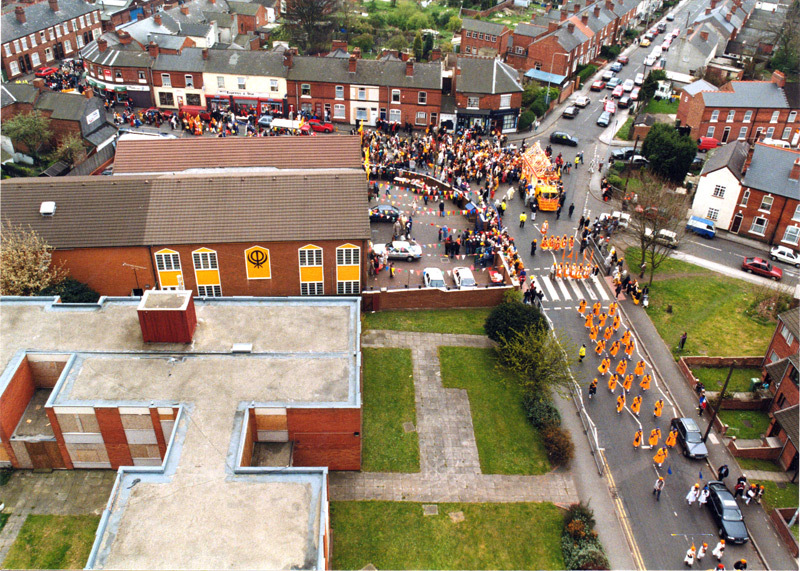 During this time a number of houses were purchased in Sandwell Street and West Bromwich Street and further extensions to the existing Gurdwara building were completed followed by the purchase of the neighbouring flats. 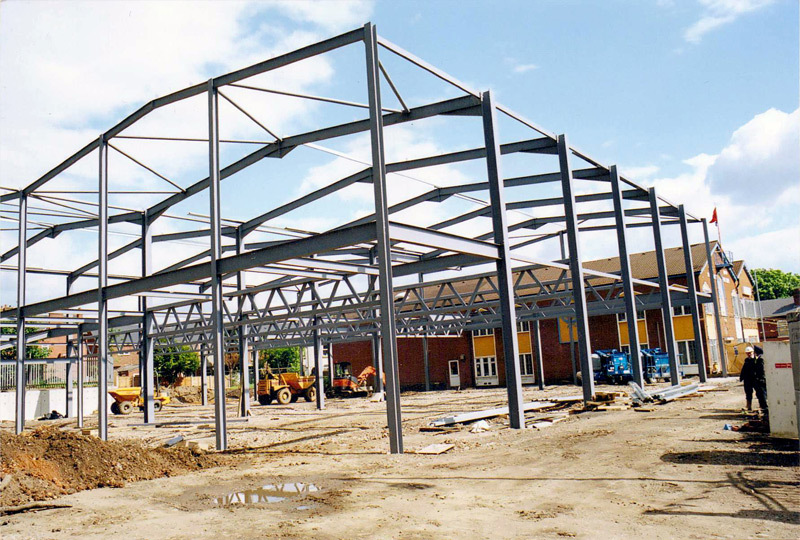 In 2005 the Parbandhak Committee decided to demolish the existing Gurdwara and build a brand new multi million pound building. 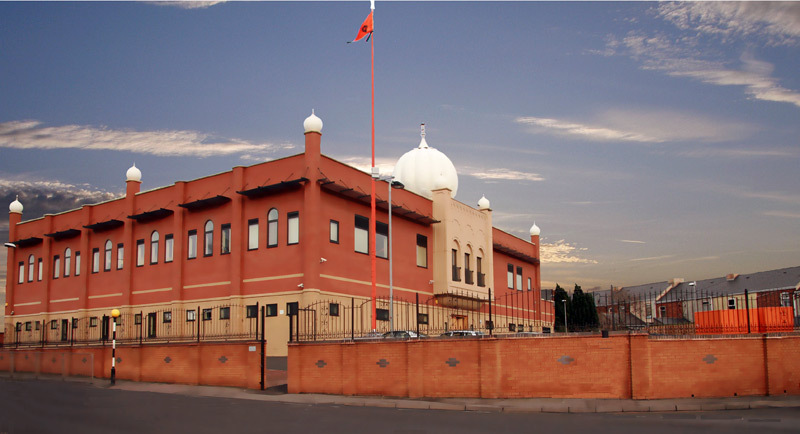 This new and present Gurdwara was completed and opened in 2007.